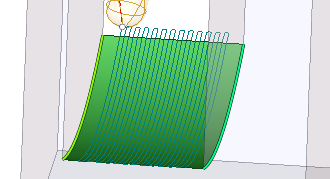 and, optionally, sync lines between the first and the second curves. 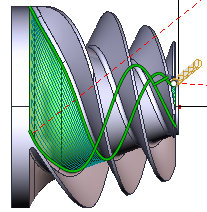 two curves you set in the job assignment, but between two machining surfaces contact curves which are closest to those two curves you specify as the first and the second curve. 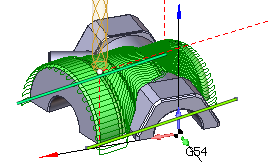 Sync lines are used to improve the quality of morphing in difficult cases, especially when machining closed contours. 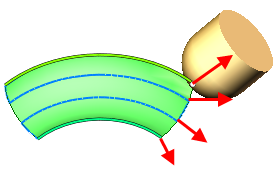 A sync line specify two corresponding points of the first and the second curve. 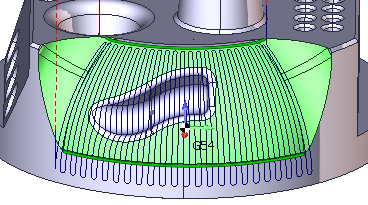 You can use any types of curves as sync lines: edges, 3d curves, 2d geometry curves. 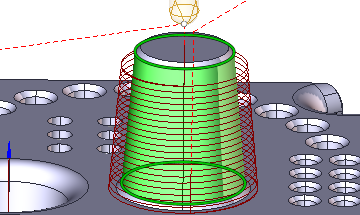 They do not have to connect the points on two curves precisely, so you can draw sync lines at the 2d geometry tab. 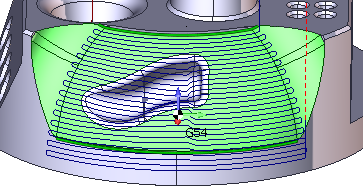 Parameters of morph are accessible in the parameters inspector. 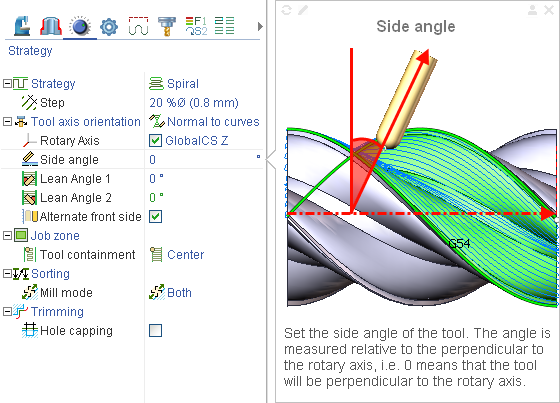 The documentation on parameters is available through the hint. Just click on the question mark next to a parameter and you will see the description of it.